Summertime, and the living is easy! Fish are jumping and it’s time to eat some Strawberry Cheesecake Ice Cream Pie! Ice Cream Pie is so delicious and easy to make and perfect for family get-togethers at someone’s house. The pie will have to be kept in a freezer so it’s not one to take to a barbecue but if the barbecue is at your house and you have control over the freezer, go for it! I first made this pie for the family for the 4th of July. It was a family get together and in addition to the Strawberry Cheesecake Ice Cream Pie we had Blueberry Ice Cream Pie . 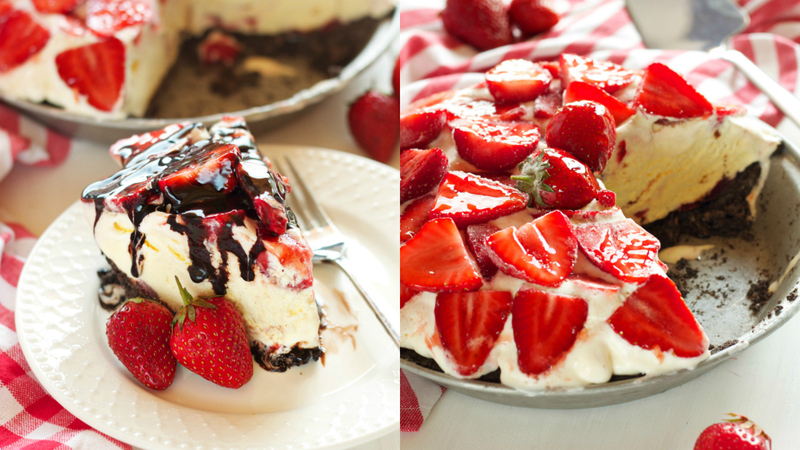 You know, Red, White and Blue dessert is a must for the 4th of July. Cookie crust pie shells are the best and this crust is made using Oreo Cookies. Add a little butter to the crushed cookie crumbs and bake for a short period. It’s so easy to make and everyone loves it. This one used Strawberry Cheesecake Ice Cream. Strawberry Cheesecake Ice Cream is made by a variety of companies but Ben and Jerry’s makes a delicious one. But you can use any flavor ice cream that you like. Strawberry Ice Cream or Vanilla Ice Cream would also be delicious! Even though Strawberry Cheesecake Ice Cream Pie is easy to make it does take some time because you need to freeze the ice cream between steps. I used Strawberry Cheesecake Ice Cream but there are numerous choices for ice cream that could be used. You could even use vanilla ice cream if that is what you like. For chocolate lovers, chocolate ice cream could be used and would go nicely with the strawberries. This pie would be a perfect one to pin on Pinterest for a easy Fourth of July recipe..
15-20 large strawberries, cut in half or in fourths. Place cookies in food processor and process until finely ground. Press crumbs into a 9 inch pie plate and press into place to make a crust. Cool for 10 minutes and then Chill again in refrigerator for 15 minutes. Drip chocolate sauce on pie crust and place in freezer. Press Ice cream inside pie crust and freeze for 1 hour. Top with strawberries in a decorative pattern. Melt strawberry jam. Brush top of strawberries with jam. Place pie back in the freezer for up to 1 hour or until ready to serve. 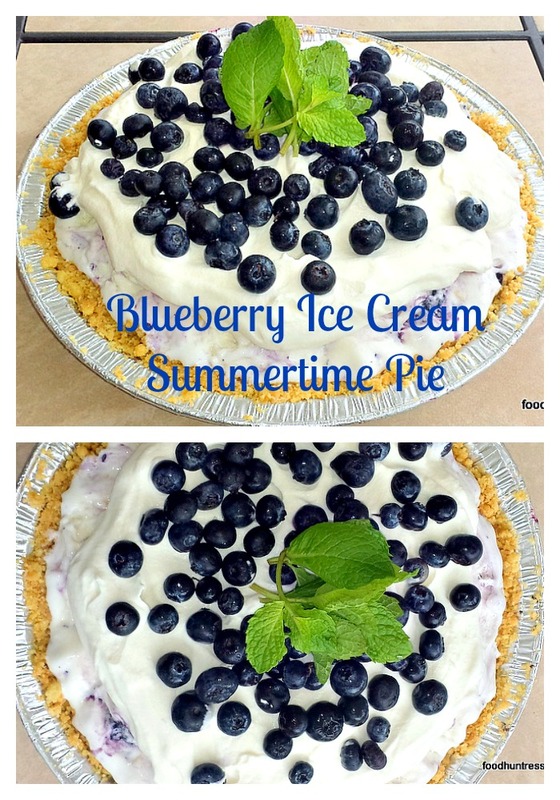 IF YOU LIKE THE STRAWBERRY CHEESECAKE ICE CREAM PIE THEN CHECK OUT THIS BLUEBERRY ICE CREAM PIE. IT’S DELICIOUS ALSO! SAVE IT FOR THE FOURTH OF JULY CELEBRATIONS.